WHIreland Wealth Management in Poole welcomes Rhys Gadsby to its investment team. As part of WHIreland’s continuing efforts to support and help young people into employment, we are delighted to welcome Rhys Gadsby to our growing investment team in Poole as a Graduate Trainee. Rhys’s appointment comes at an exciting time as we further look to grow our presence on the South Coast and South West of England. Rhys joins us from Cardiff University where he recently graduated with a Degree in Modern History & Politics. Prior to this, Rhys attended secondary education at Twynham School in Christchurch, Dorset. WHIreland’s commitment to supporting young people gain employment started last year with the introduction of a graduate training scheme. The graduate scheme provides successful applicants with opportunities in the Corporate & Institutional Broking, Wealth Management and Wealth Planning teams. Since launching the scheme, WHIreland has offered places to five candidates in roles across the business. Furthermore, each year, WHIreland runs a number of work experience taster days in London for 10-15 students between the ages of 16 and 22. 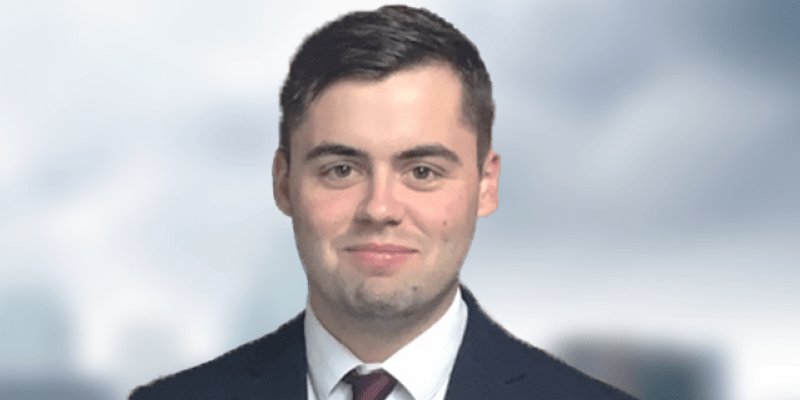 Whilst at University, Rhys was Young Conservatives Chairman for 2 years and is currently Vice Chairman of his home constituency association of Christchurch. Outside of work, Rhys is a keen golfer and cricketer and is well-known for being an enthusiastic supporter of AFC Bournemouth. He is also a PADI certified scuba diver with a passion for shark diving.